Names are important to us as museum scientists. 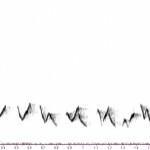 The scientific name is a key index for specimens and the hierarchy implicit in binomial nomenclature is essential to the organization of collections. 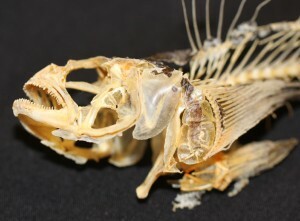 Names also reveal historical connections, folklore, and biology of the organisms. The scientific name is always given as a binomen, a two-part name consisting of a genus and species. As the words themselves suggest, the genus name is more “general” than the species name, identifying the larger group to which a species belongs. The genus name is capitalized and the species name is not, and by convention, both are rendered in italics (or underlined when handwritten). The genus name can be abbreviated to a single (uppercase) letter (e.g., H. sapiens, E. coli). The application of a binomen is governed by a series of rules (called the codes of nomenclature) devised and agreed upon by the scientific community. The nomenclature of animals differs slightly from that of plants (and fungi), reflecting the different histories and cultures of zoology and botany. The rules are designed to support and facilitate the description of biodiversity and include provisions for resolving conflicts in the application of names. Many species (including ours!) 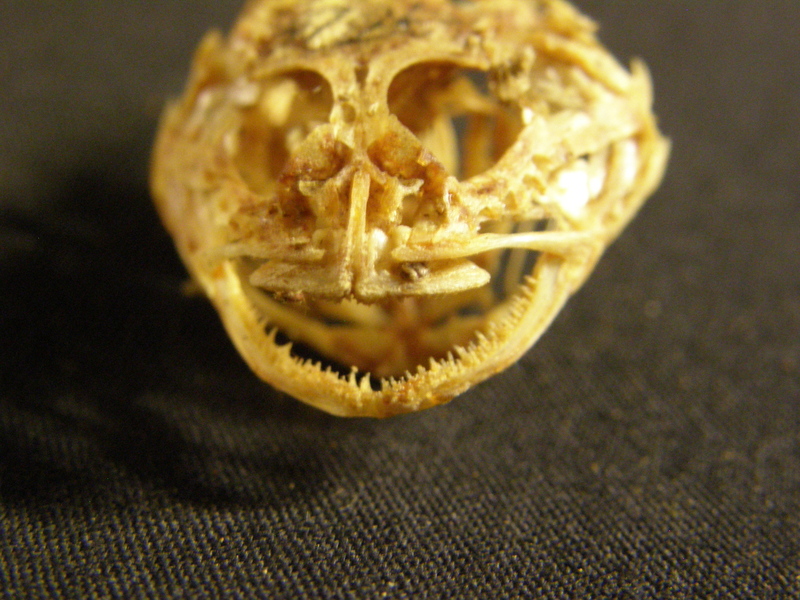 have both a scientific name and common (or vernacular) name. Unlike the scientific name, which is the same in every language, a common name is generally language-specific and may even differ within a language across regions or over time. Take for example Anemonia viridis. The common name for this species in England is “the snakelocks anemone.” In Dutch, it’s “wasroos,” and in French, it’s “anémone de mer verte.” These common names emphasize different things about the animals–the long tentacles (English), the texture (Dutch), and the color (French). In many cases, the common name and scientific name are essentially the same name – scientific names often have roots in Greek or Latin and the common name may be a translation of this (or vice versa -the scientific name may be a Latinization of a common name). 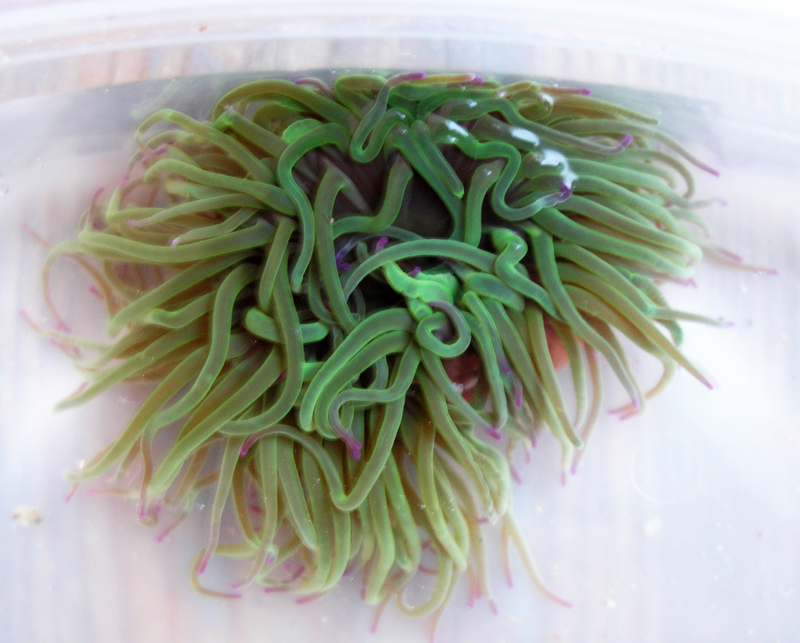 Nematostella vectensis – the “starlet sea anemone” is a great example. The name for the genus translates to “threadlike star,” which aptly describes its appearance. Common names generally highlight the appearance or biology of a species, but may provide a glimpse into its history or refer to some aspect of its biology. For example, Lucernaria janetae was named to honor Dr. Janet Voight, a marine biodiversity scientist at the Field Museum. Janet was the motivating force behind the research expedition on which these deep-sea stalked jellyfish were collected. In the nineteenth century, as part of broad enthusiasm for natural history, common names were chosen for many species that had previously escaped popular attention. For sea anemones, this meant a proliferation of names like “the Crimson Pufflet,” “the Sprawlet,” and “the Gem Pimplet.” As fanciful as these names seem, there is an internal logic to them: all of the species called Pufflets belong to the same group, as do the various Pimplets. The coiner of these common names was Philip Henry Gosse, a British naturalist and author who had better success with another of his invented words, “aquarium,” a portmanteau of “aquatic” and “vivarium.” Sadly, despite Gosse’s best efforts, common names are generally not used for anemones in English-speaking countries, with the exception of very common and widespread species or those sold through the aquarium trade. 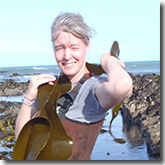 About the Author: Dr. Meg Daly is Professor in the department of Evolution, Ecology and Organismal Biology, director of the Museum of Biological Diversity and leads the laboratory of marine invertebrate diversity at OSU. 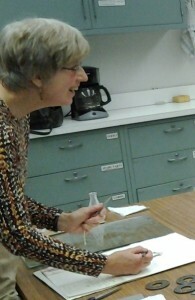 She and her students study systematics of cnidaria, sea anemones, jellyfish and their like. All photos taken by the author. As a follow-up to my previous post, here is another odd case involving mites and noses. Most of the mites mentioned in the last post are small, but Dr. Randall Junge, Dept. 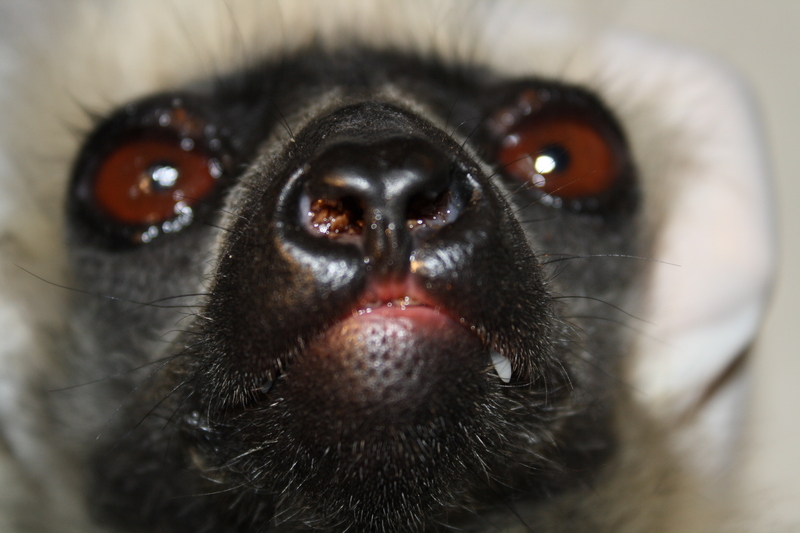 of Animal Health at the Columbus Zoo, and collaborators found ticks in the noses of some wild lemurs (sifaka, Propithecus diadema) in Madagascar. Ticks in noses of great apes, and even one case of a tick in the nose of a human, had been reported before, but it seemed to be relatively rare. This was not. The majority of sifakas at one site had one or more ticks in their noses, and all of these ticks were males of Haemaphysalis lemuris. Females and nymphs of that species are found on the sifakas, but never in the nose. Members of the other tick species Ixodes lemuris regularly parasitizing these sifakas have never been found in the nose either. The numbers were also impressive. The average number per nose was about 7-8, but our record holder had 31 ticks, which makes one wonder how the host could even breathe. Of course male ticks do not feed a lot, so damage in terms of feeding should be limited. 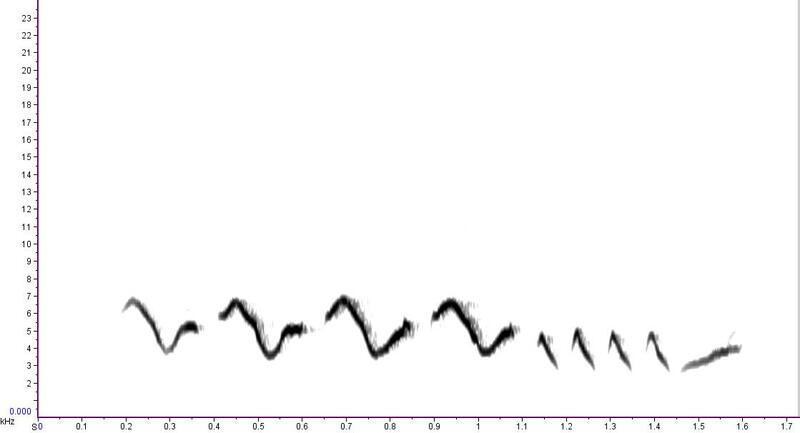 It is interesting to speculate on why we see this behavior. One possibility has to do with finding mates. Male ticks have to search their host for available females, and attaching in the nose might be a good strategy to find females on other sifakas in the group. After all, these lemurs do sniff each other a lot, bringing noses and bodies in close contact. At this point we have no evidence for that idea, and we do not even know if this phenomenon is widespread or largely limited in the one population studied. As so often, one odd observation triggers many more questions. The phenomenon was sufficiently weird that it got included in a short paper on ectoparasites of diademed sifakas published in the Journal of Medical Entomology. All collected specimens have been archived in the OSU Acarology collection, so they are available for any future researcher who wants to dive deeper into noses. As a final note, the only record of a mite in a human nose is the one mentioned above, a single tick in a single human. Of all the things to worry about, this is not a major one. Klompen, H., Junge, R. E., & Williams, C. V. (2015). 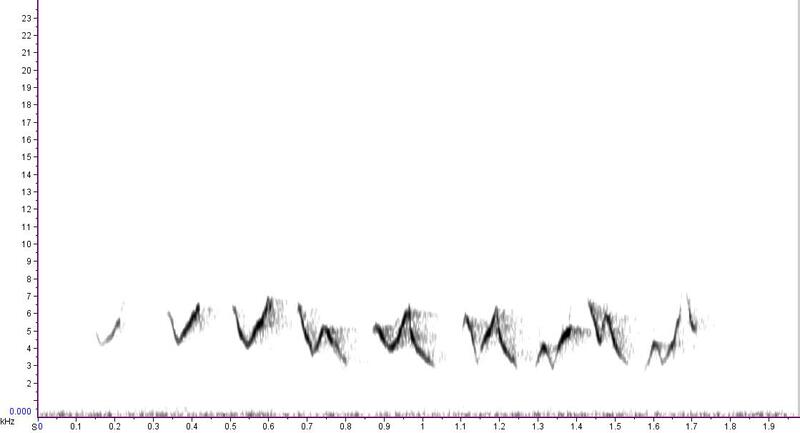 Ectoparasites of Propithecus diadema (Primates: Indriidae) with notes on unusual attachment site selection by Haemaphysalis lemuris (Parasitiformes: Ixodidae). Journal of medical entomology, tjv032. Rain gardens have proven to be a useful tool to mitigate stormwater run-off in cities. They are depressions on the side of the road or sidewalk with plants that absorb rainfall and prevent water from picking up pollutants and carrying them to the nearest stream. The plants and soil also filter the water. But this is not the only service rain gardens provide, the diversity of plants used in them increases habitat for many animals. Many insects and spiders are drawn to the local plants and they in return attract birds and small mammals. Rain gardens can provide nice shelter for these animals too. 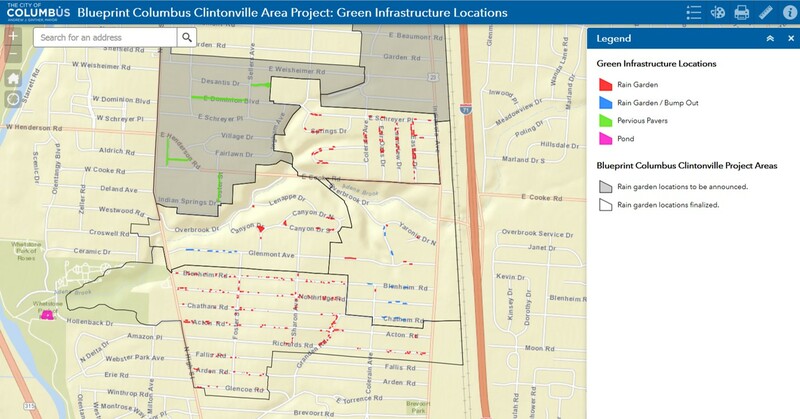 As part of project “BluePrint” the City of Columbus plans to install some 500 rain gardens in the Clintonville area to manage stormwater runoff. Dr. Jay Martin, Professor of Ecological Engineering at OSU joined the project to holistically quantify the impacts of stormwater green infrastructure on societal services such as stormwater management, public health, community behavior, economics, and wildlife habitat. Dr. Martin’s PhD student David Wituszynski focuses on the animal aspect and recently contacted the Borror lab to discuss his research idea. David wants to test the hypothesis that implementation of such a large network of rain gardens will increase the diversity of urban bird species. 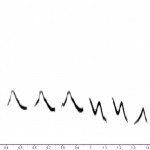 Specifically, he wants to develop automated acoustic methods to track urban bird populations. He will deploy SongMeters, automated recordings units, and program them to record surrounding sounds at certain times of the day. 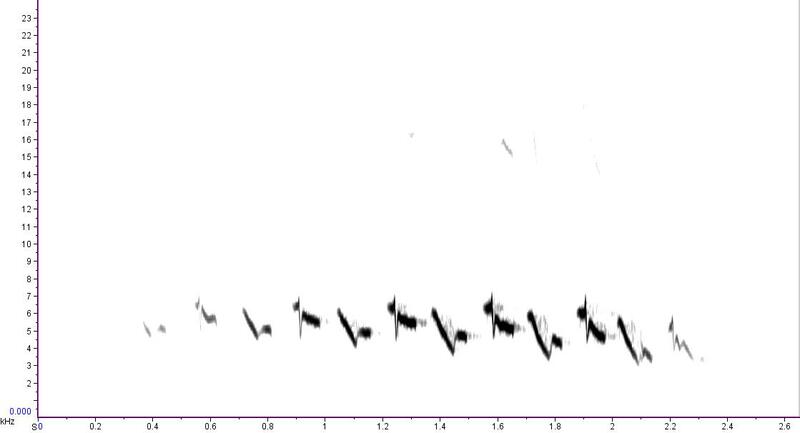 It is easy to record thousands of hours of bird and insect sound, but one needs to analyze them afterwards and identify vocalizing species. 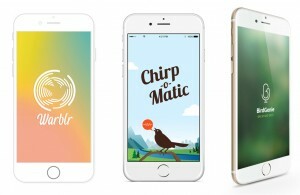 This takes us back to the problem of automated sound recognition raised in Monday’s post. Dr. Martin and David are collaborating with Don Hayford from Columbus Innovation Group who will develop techniques to filter out background noise (such as human voices, machinery, cars, barking dogs – all familiar sounds to our neighborhoods) and produce files of target sounds that can then be analyzed with existing software. 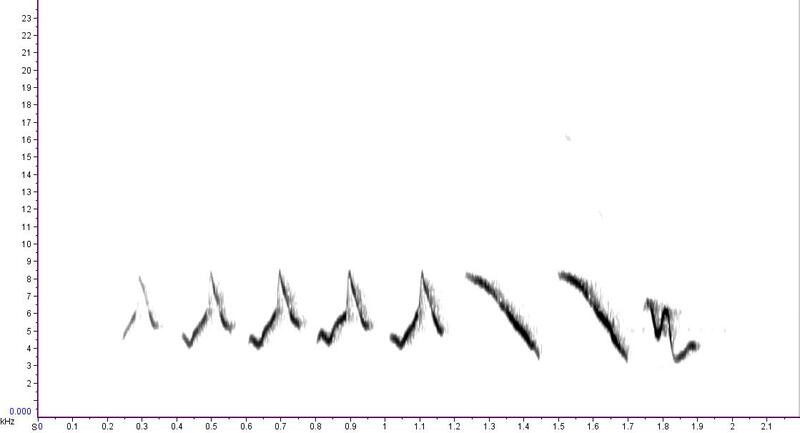 My role will be to provide reference sounds for the software as we need to train the software to recognize known vocalizations of local bird species. This is not an easy task because some bird species have quite varied vocalizations. 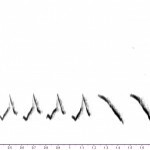 Our large and diverse archive of sound recordings will come in handy, we have many recordings of local Ohio species. These should cover most of their diverse vocalizations. 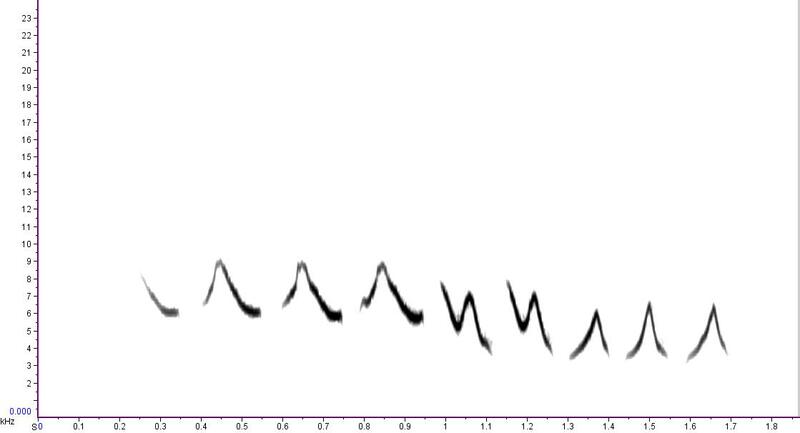 Our goal is to build classifiers that automatically recognize and label species in the recordings. We have just submitted a grant application to help us fund some of this research. 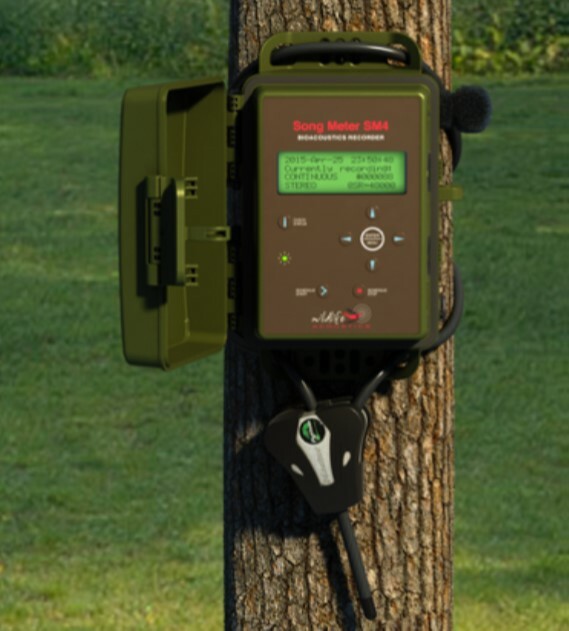 The first SongMeters will be deployed this fall and we will start monitoring the areas to get a baseline level of bird activity. Come spring the city will install rain gardens in the neighborhood and we can compare our recordings before and after the installation. This certainly is a multi-year project. We will keep you updated. Should you see a rain garden in your neighborhood, take a picture and share it on social media #BLB #raingarden #songmeter! The project BluePrint was featured in the Columbus Dispatch last January! Learn more about rain gardens in Central Ohio! 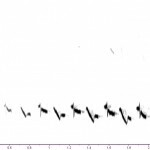 About the Author: Angelika Nelson is the curator of the Borror Laboratory of Bioacoustics at OSU and Co-PI on the project “Determining Impacts of Rain Gardens on Urban Bird Diversity” with Dr. Jay Martin, David Wituszynski and collaborator Don Hayford. These letters are from the four-volume “Acaroteca” of Antonio Berlese, (1863-1927) in which he maintained records of his named specimens. Berlese illustrated this catalogue with a large letter at the beginning of each section. The mites are examples of those whose genus name begins with that letter. Not all letters were completed before his death, and several pages have been heavily stained. Following up on unusual ways to treat (or image) mites, here is an example that is both beautiful and very traditional, following the medieval tradition of illuminated letters. This image is of a poster assembled by Roy Norton featuring most of the letters of the Berlese alphabet. In case you have never heard of Berlese, Antonio Berlese was an Italian entomologist (1863 – 1927) who studied agricultural pest insects. He put together a catalogue of his collection of mites, referred to as the Catalogue of the Berlese Acaroteca. He included about 1600 species, the entries are arranged alphabetically by species according to Berlese’s final specific and generic concept. 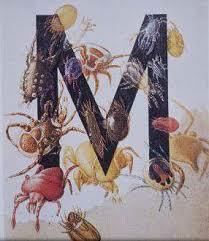 Each section begins with a large letter featuring a mite whose genus name begins with that letter. The individual drawings are simply gorgeous, and most specimens can easily be identified to genus. 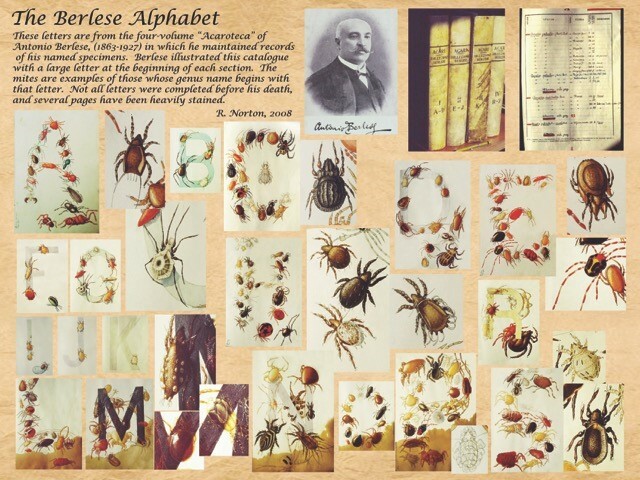 Of course many generic names have changed since early 20th century, so I would not recommend this as a work of taxonomy, but the Berlese alphabet remains a great work of “mite art”. 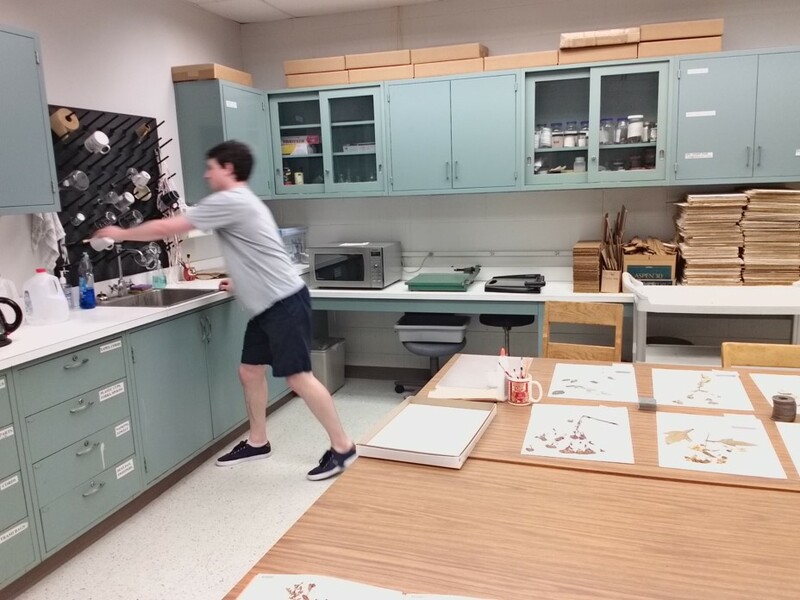 I have been working at The Ohio State University Herbarium in the Department of Evolution, Ecology, and Organismal Biology (EEOB) since May 2015. This particular unit is known for its vast collection of botanical specimens. 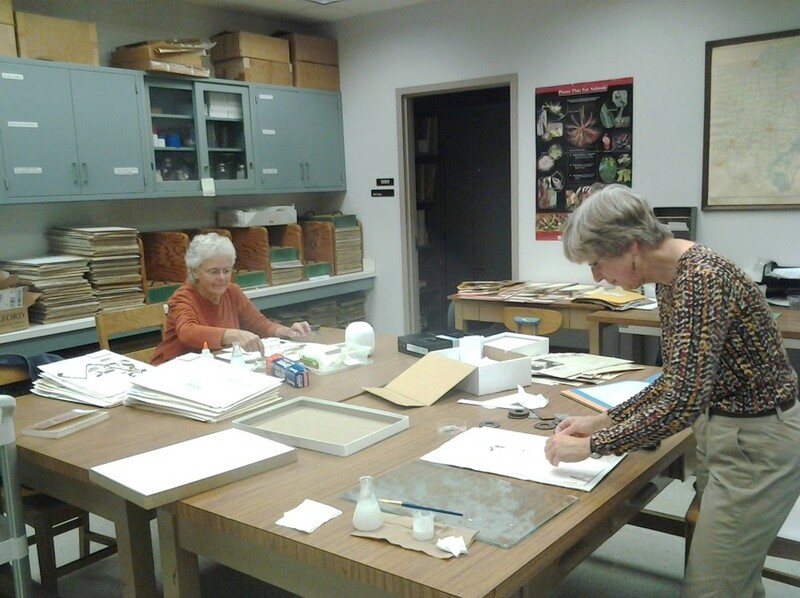 A quick stroll through the herbarium paints a picture of its deep reserve of information. This stroll both begins and ends with my workplace, the herbarium preparation room, where my co-workers and I mount pressed plants as our student job. For us, a typical work day starts by preparing all the necessary utensils or equipment. First I lay out a sheet of plexiglass as the working surface. Then I prepare a suitable ratio of Elmer’s glue (used for wood, paper, etc.) with water, and the brushes that I’ll need for the day. 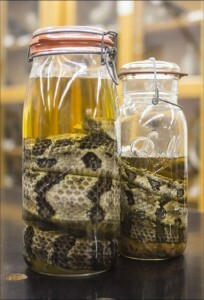 There’s a cabinet that includes the specimens that I and other assistants work from. One day we work with simpler, more sturdy specimens with wide leaves, like those of the Asteraceae (the daisy family) or Solanaceae (the potato family) – families of plants that I learned well while working here. Other days we work with grasses, the Poaceae, that are harder to mount as there are many thin surfaces to attach to the mounting paper. This will then be kept in a bin for up to 48 hours to dry, after which it will be taken out, sorted out, and given an accession number. Additional work such as taping and sewing is done by volunteers. Finally the specimens are stored for posterity in the herbarium’s collection. What is interesting about these dry plants is that each specimen was brought to the herbarium for a particular purpose. 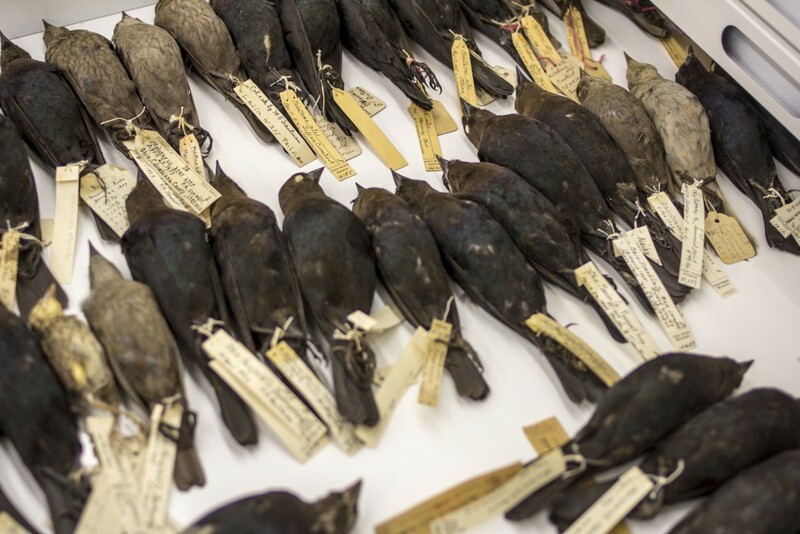 Each specimen has its own story. 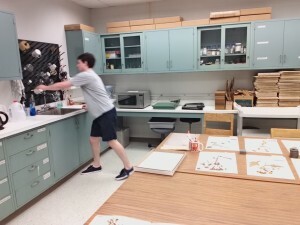 Although the action of mounting the plants requires attentive handling and an affinity for aesthetics and composition, the heart of the process really lies in the plant’s journey to the OSU herbarium. Some of the plants we mount are fifty or even hundred years older than us. Others come from remote parts of the world that we had never heard of and, at times, we resort to a discussion of geography and history with the herbarium staff to satisfy our curiosity. To think that many of these plants crossed oceans to be stored for dozens or hundreds of years is quite humbling. They are the fruits of botanists who travel the world to catalogue and annotate their findings on a piece of archival paper. 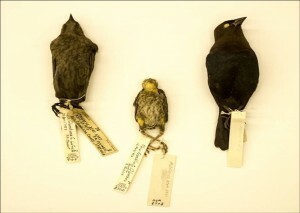 The information contained in the collected specimen is crucial to the progress of research. That’s why scientists go through such lengths to collect more data. A small perk of working with old specimens is that they often come wrapped in a newspaper from their time of collection. It’s interesting to see the age of the dried plants and to gain an appreciation of their historical context. Once, I opened a bundle wrapped in a Ugandan newspaper so old that the images were added manually before being printed, instead of being inserted digitally. I then wondered how far technology has progressed. The newspapers also tell other stories, for example the news items, prices of products, etc., 50 or even 100 years ago. 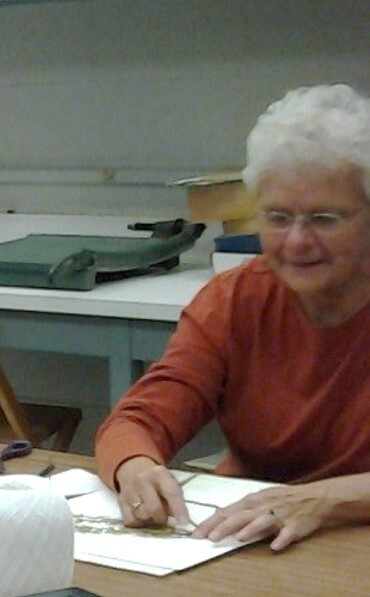 So, there is another kind of history in a herbarium collection. Quirks aside, there are some more serious undertones to the practice of mounting plants. Truthfully, I feel like it is a declining practice. With the growing emphasis on molecular biology in research facilities, the value placed on plant preservation or mounting is dwindling. Although understandable, as genetic analyses can be more lucrative, it’s a shame that plant collecting and mounting is losing attention. There will always be demand for mounted specimens as they are reflections of botanical history. They give researchers eyes-on contact with their subject of botanical research. Familiarity with the plant of study is paramount to creating quality research. Furthermore, the practice of plant collecting underlies botanical methods laid out by the famous Swedish naturalist, Carl Linnaeus, from the start. Plant mounting connects the botanical community. It’s a reliable way of building relationships between universities while building on the communal body of knowledge. We just have to make sure not to lose sight of its importance. Students like me who work in such facilities have also built up relationships with one another and with the staff of the unit as well as the volunteers who come once a week to help in this process of preserving biodiversity. Plant mounting makes the botanical community grow tighter. It’s a practice that has been used for hundreds of years, and will continue to be used well into the future. I learned a lot not only about botany but also history and geography while working in The Ohio State University Herbarium. About the Author: Martin Stuessy is an undergraduate senior at The Ohio State University, majoring in Philosophy. In our last post, Norman and I discussed what we understand by internship, volunteering, and student work. Here in the Triplehorn collection, student interns and volunteers work side-by-side with our staff, faculty, and student assistants to learn and to preserve the collection for the future. Some tasks are fun, others are tedious, but all tasks are important. Instead of wordy descriptions, I selected some photos that illustrate the kinds of activities in our daily routine. This is by no means a comprehensive list, but I hope it will help to give you a general idea. If you are interested in learning more about insect collections, insect curation, insect specimen preservation and photography for scientific study (or just for fun! ), or have any questions about the Triplehorn Insect Collection, please feel free to drop me a note at osuc-curator@osu.edu. About the Author: Luciana Musetti is an Entomologist and the Curator of the Triplehorn Insect Collection. If you were to visit a rainforest or tropical island you would expect to find many unique and amazing animals. But did you know that there are some incredible organisms in the state of Ohio? 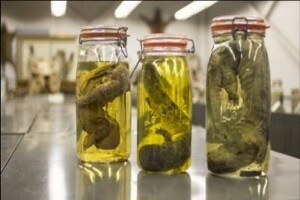 Giant salamanders, parasitic birds, 1,400 pound bovines, and venomous snakes! All of these animal are uniquely adapted to their environment but some of them are in peril due to a number of human caused factors. Raising awareness of these fascinating animals that live in our own backyards is the first step in conserving the amazing biodiversity around us. 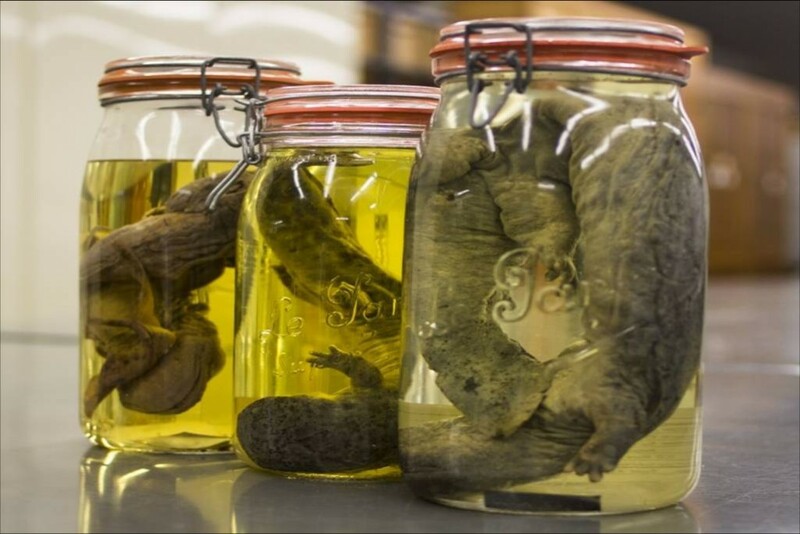 These are three specimens of hellbender salamanders (Cryptobranchus alleganiensis) which are Ohio’s largest amphibian species. They can grow to a length of 11.5 to 20 inches! They are mainly found in southeast Ohio hiding under rocks in fast moving streams. Despite their size, they are harmless to humans but not to small fish, insects, and aquatic invertebrates which they feed on. Take a closer look at these amazing creatures! Unfortunately, hellbenders are listed as endangered by the Ohio Division of Wildlife. The biggest threat to these animals are pollution and degradation of their habitat. Removal of rocks, stream damming, and excessive siltation due to nearby forests being converted to farmland all play a role in destroying the hellbender’s habitat. There has been an 80% decline in their populations in Ohio since the mid-1980’s. Here are, from left to right, a female, nestling, and male Brown-Headed Cowbird. 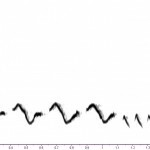 The female will lay up to 40 eggs each breeding season. However, she does not lay these eggs in her own nest but in the nests of other birds. She is not very picky about what type of nest either, Brown-Headed Cowbirds have up to 221 known host species. 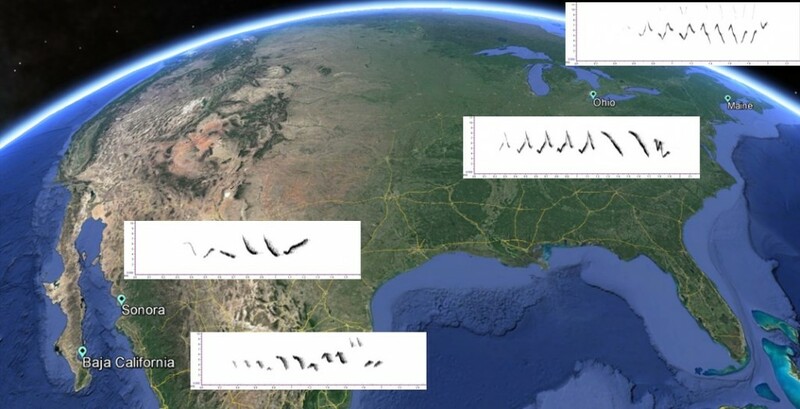 These birds are disliked by many because of their tendency to out-compete other songbirds in particular in the Eastern part of the U.S. where Brown-Headed Cowbirds are not native and many songbird species are not adapted to them. 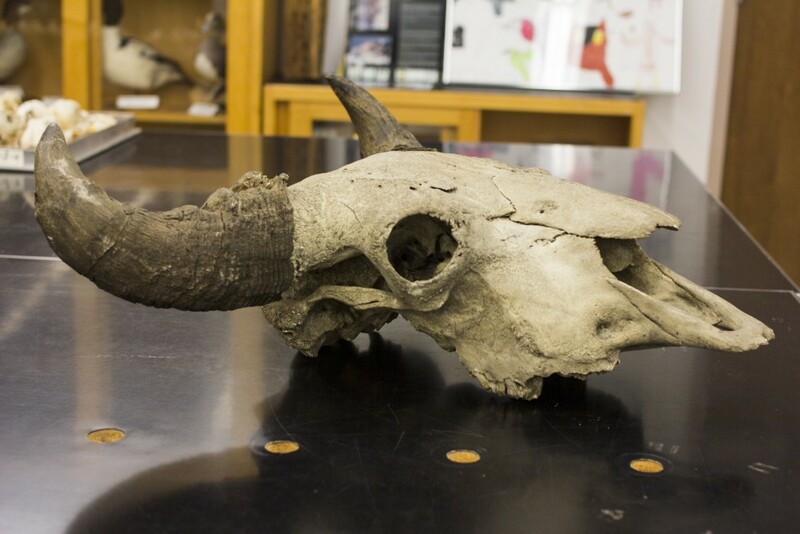 You may have recently heard that the American bison (Bison bison) is now the national mammal of the United States. 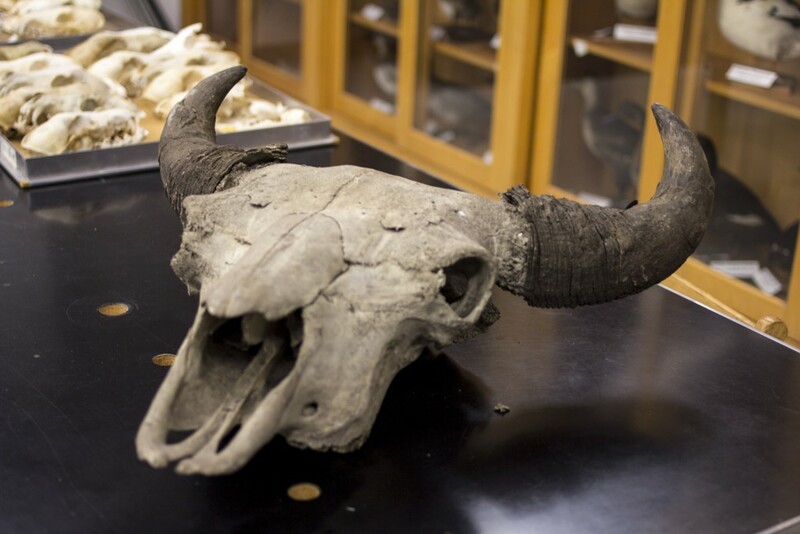 But did you know that these animals once used to freely roam Ohio? Despite being the largest land animal in North America after the Ice Age, these majestic beasts nearly went extinct in the 19th century. Native Americans in Ohio used to hunt wild bison but the bison population did not decline until European settlers reached Ohio. The settlers hunted the bison commercially for their meat and hides. In 1803, the last bison in Ohio was shot and killed in Lawrence County. Today, you can again see bison in Ohio, but they are all captive. One of these places is Battelle Darby Creek Metro Park where 11 bison are currently roaming the restored prairies. Another animal you may be surprised to find in Ohio is the timber rattlesnake (Crotalus horridus). These snakes are venomous but they are very docile (despite their Latin name – horridus) and will not attack humans unless provoked. 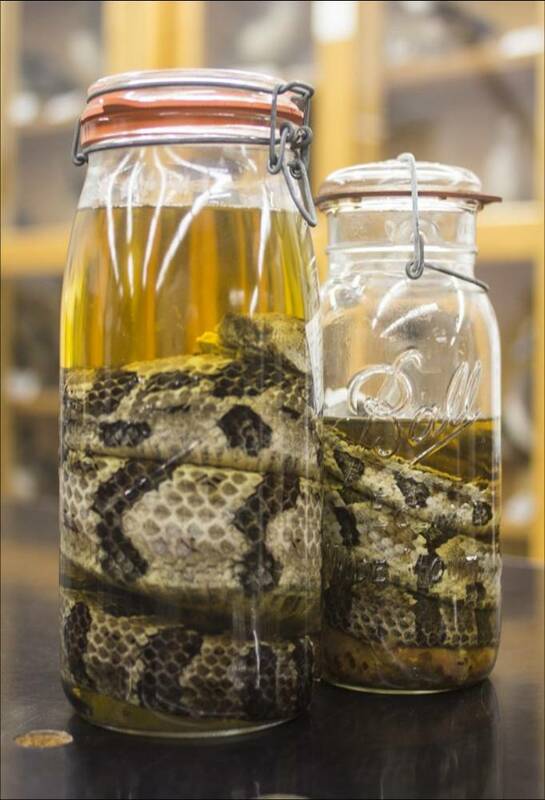 You can call yourself very lucky should you spot one in the wild, because timber rattlesnakes are now considered endangered by the Ohio Division of Wildlife. 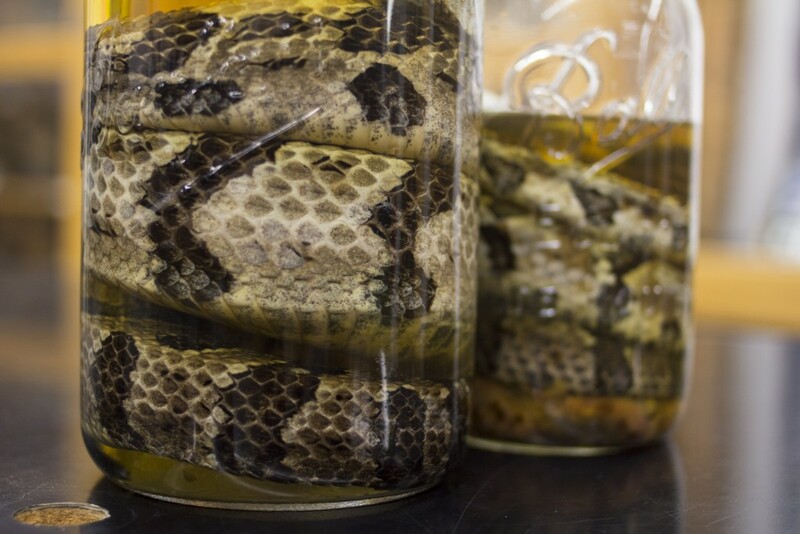 Timber rattlesnakes live in the forests of seven counties in southern Ohio. They used to have a much larger range in Ohio but due to direct killing, unregulated collection, and habitat destruction their numbers have severely declined. These snakes can grow up to 6 feet but on average a length of 3 to 4 feet. Like many snakes, these rattlers usually eat mice, rats, chipmunks, and squirrels. So next time you are out on a walk in Ohio, keep your eyes open for some of these amazing animals that we find in our backyard. 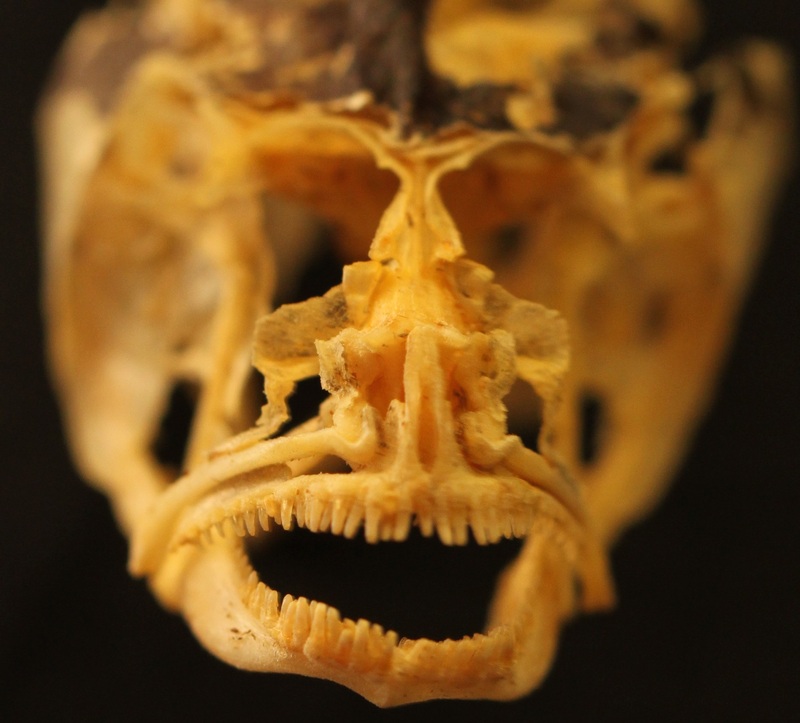 About the Author: Chelsea Hothem is a 3rd year student majoring in Evolution & Ecology at The Ohio State University and works as a Research Assistant at the Museum of Biological Diversity in the Tetrapod Collection.